EGPE will use a variety of innovative tools and methods to build these parks, such as drones for topographic survey, smart tracking of wind turbine components, as well as advanced digital platforms and software solutions to monitor and remotely support site activities and plant commissioning. These processes and tools will enable swifter, more accurate and reliable data collection, improving the quality of construction and facilitating communication between on-site and off-site teams. 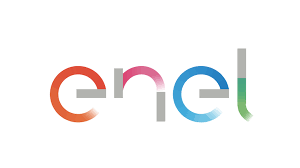 In addition, the building phase of the three projects will be based on Enel Green Power’s "Sustainable Construction Site” model, including the installation of photovoltaic solar panels at each construction site to meet part of their energy needs. Moreover, water saving measures will be implemented through the installation of water tanks and rainwater collection systems; once construction works are completed, both the PV panels and the water saving equipment will be donated to the municipalities where the projects are located for public use.